I take my one hand stretched on front direction and other hand on my hips. 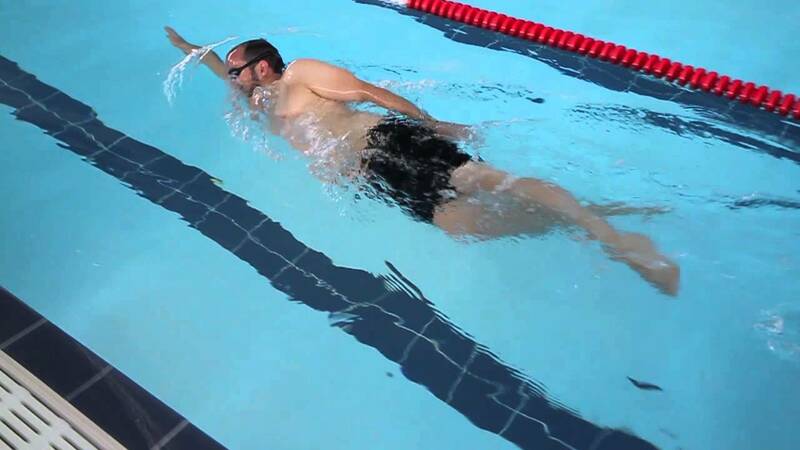 Instead facing my belly to swimming pool bottom I keep it on slight angle so that I can take my face easily out of the water surface to breathe. I have read somewhere that while breathing in this style you head must be attached to your stretched hand. But in my case I failed to take my head out of the water[keeping head attached to stretched shoulder] so that I can break water surface and breathe. Difference in image and what I do is just head in image is partially outside the water so that he can break water surface easily to breathe. But my head remains under water and even after rotating, it hardly breaks water surface. Somehow I managed to breathe by breaking the connection of head and stretched shoulder. But this is wrong technique. Please suggest any correction in technique. From the picture, I immediately wonder: what is your hand doing behind your hips? Take note to touch your hips when you come up, not let it drop behind it. But notice the difference in hand position. One hand next to the hip. The other not to high up, put going down. Instead of kicking, do a small flip when you are switching arms, the only goal is to help you flip sides. Not the answer you're looking for? Browse other questions tagged technique swimming or ask your own question.